There’s nothing like the feeling of freedom you get from riding a bike. Whether your style is road or mountain, knowing the best bike shop to turn to is an important part of the journey. Here are 10 excellent bike shops in New York State! This Albany-area bike shop does it all—they sell a variety of bikes, from mountain bikes and road bikes to hybrids and specialty bikes, organize group rides, and offer repairs and unique services like pick-up, delivery, and shipping. One of the best bike shops in New York City, Bicycle Habitat is known for its superb service, culture, and prices in each of its locations (SoHo, Chelsea, Park Slope, Prospect Heights). Bikes purchased from Bicycle Habitat get free brake and gear adjustments for life. Offering stylish new and vintage bikes, a plethora of biking gear, and a full-service repair shop, Landmark is a New York City biker destination. In 2008, they opened their East Village location and due to popular demand, a second location in Williamsburg opened shortly after. Buffalo bikers rave about Campus Wheelworks because of its excellent selection, speedy service, friendly, knowledgeable staff, and welcoming community of bikers. The bike shop has been a Buffalo “institution” for more than 40 years. This bike shop will not only sell you a bike and perform repairs, but they’ll also teach you how to fix your bike on your own. You can even learn how to build your own and they’ll help you every step of the way. Voted the best bike shop on Long Island for four years in a row, Mineola Bicycle aims to please customers with high-quality repairs and a variety of bikes for sale. 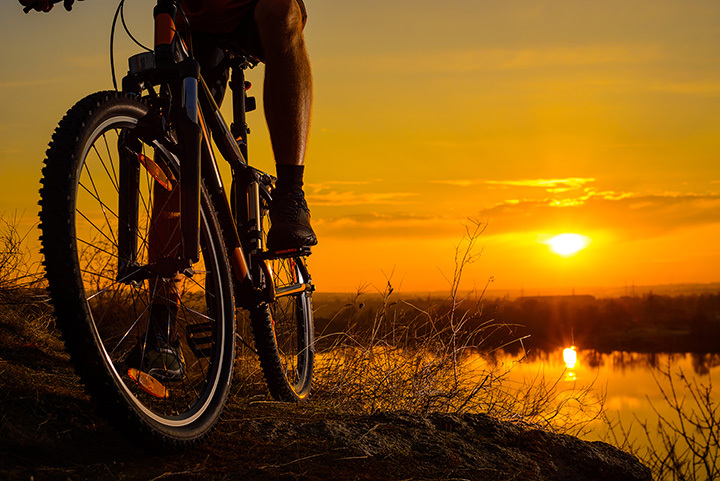 Located right near a wooded rail trail, Bicycle Depot rents bikes, repairs them, and sells a large assortment of bicycles and gear from the top brands in the industry. This Wappingers Falls bike shop takes the sport seriously, offering a number of organized rides and events, extensive repair service, and a generous selection of bicycles and parts for sale. Started by a husband and wife team in 2010, Zen Bikes has quickly earned a reputation for impeccable service and friendly, “chill” staff members. The shop sells and repairs bikes and performs fittings and deliveries. Red Lantern Bicycles is a place to relax and have a cup of coffee or a drink while you get your bike repaired in the back. The shop focuses on utilitarian commuter bikes and also provides bike rentals.